What do you do if you’re young, bored with Lamborghinis and Ferraris and have way too much money? Build a $1.5 million road-legal Batmobile of course! What do you do if you’re young, bored with Lamborghinis and Ferraris and have way too much money? Build a $1.5 million road-legal Batmobile of course! 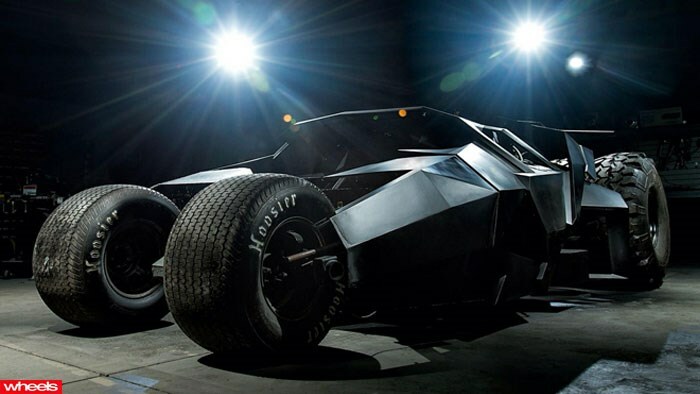 The brainchild of a group of wealthy youngsters aged 21-34, this ‘car’ – called the Tumbler – is a fully functional, life-size replica of the Batmobile driven by Christian Bale in the Dark Knight trilogy. But don’t think it's simply a design exercise. The group, who call themselves Team Galag, intend to rally their Batmobile in the infamous Gumball 300 – a unique 5000km event where the uber rich drive the world’s most expensive cars across Europe. Built in Florida by Parker Brothers, the Batmobile is powered by a 6.2-litre V8 and can hit up to 160km/h. Handling isn’t expected to be great, with the vehicle, which boasts the dimensions of a small truck, weighing in at 2.5 tonnes. But still, we can’t think of a better way to turn heads.